Want to hire a professional Tree Surgeon in Roehampton? Were here! GraftinGardeners have professional tree surgeons in SW15, London and surrounding areas. 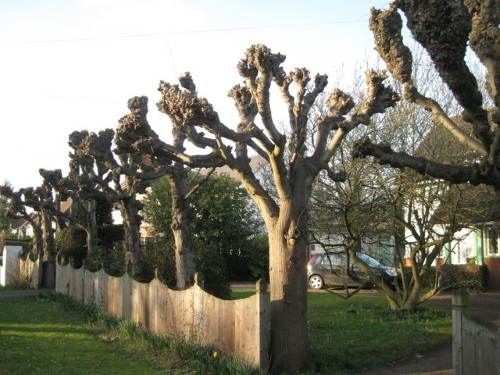 GraftinGardeners provide a fast, efficient and cost effective tree surgery service in Roehampton and surrounding areas. Our team can provide you with all your arboriculture requirements, whatever they may be. We have many happy customers with a solid rating of 9.9 on checkatrade. If you require tree surgery in SW15, call us right away, you won’t be disappointed. Do you want to remove an unsightly or awkwardly situated tree? Our tree surgeons (arborists) will fell any tree regardless of size and location. We will get the job done on time and safely. We are fully insured and always work in accordance to UK safety guidelines. Tree pruning is a delicate operation and should only be carried out by qualified tree surgeon. If you need your trees prune why not get the experts in to help. We prune all trees to a high standard to ensure your trees live healthy lives. 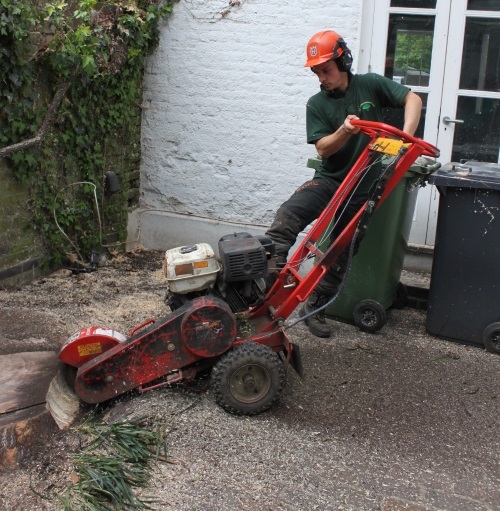 If you have a tree stump you need removing, our tree surgeons can handle it. Our stump grinder will easily remove any tree stumps in its way. Once were finished, we’ll fill the hole with stump chippings or soil (whichever you prefer) and level it off. Fallen trees causing you trouble? Our tree surgeons are equipped to deal with all situations. If you have an emergency on your hands, give us a call right away! Our emergency tree service is open 24 hours a day 365 days a year. We can remove fallen trees fast and secure the affected area until its safe again. Overgrown ivy can be a nuisance and is often tricky to remove. If you have overgrown ivy that needs removing, get in touch with us today. We provide one of the best ivy management services around. We can remove, prune and shape any form of ivy and climbers. Need help planting a tree? 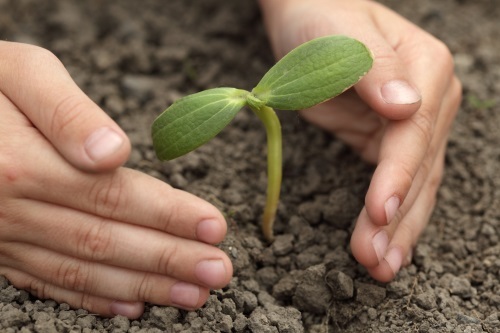 GraftinGardeners will be happy to help you plant your new tree! We offer solid advice, from picking a suitable specimen to best planting locations as well as advice on tree aftercare. Want to get you hedges trimmed to a professional standard? Why not let GraftinGardeners trim your hedges for you! We have expert hedge trimmers that can craft and shape any size hedges. Our boys will work with you every step of the way to ensure you get the desired result you want. Pollarding is an inappropriate form of pruning for most tree species. It is a server cut back of limbs and branches and should mainly be used on willow and poplar trees. If you’re unsure what form of pruning your trees need we can help. Give us a call and we can have a chat about your requirements.